Every day, thousands of children, teens, and young adults around the country are bullied. 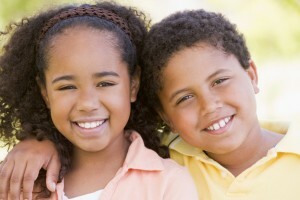 Estimates are that nearly one-third of all school-aged children are bullied each year – upwards of 13 million students. Students involved in bullying are more likely to have challenges in school, to abuse drugs and alcohol, and to have health and mental health issues. StopBullying.gov: This website was launched to provide information from various government agencies on how children, teens, young adults, parents, educators and others in the community can prevent or stop bullying. The website will provide information on what bullying is, its risk factors, its warning signs and its effects. It will also provide details on how to get help for those that have been victimized by bullying. Enforcing Civil Rights Laws: Last October, the U.S. Department of Education Office of Civil Rights issued guidance as a “Dear Colleague” letter to clarify issues of bullying and violation of federal education anti-discrimination laws. The guidance explains educators’ legal obligations to protect students from student-on-student racial and national origin harassment, sexual and gender-based harassment, and disability harassment. Shaping State Laws and Policies: In December of last year, Secretary Duncan issued a memo to Governors and Chief State School Officers in each state providing technical assistance and outlining key components of comprehensive and effective state anti-bullying laws and policies. In addition to the Steering Committee’s work, the Health Resources and Services Administration (HRSA) has also created the Stop Bullying Now! Campaign to raise awareness about bullying; prevent and reduce bullying behaviors; identify interventions and strategies; and encourage and strengthen partnerships. SBN was developed by a steering committee and implementation work group that included more than seventy organizations from in and out of government. The campaign covers ages five to eighteen years old, and includes tool kits to encourage and empower youth to mentor younger children to take action again bullying. The Department of Education’s Safe and Supportive Schools competitive grant program requires recipient states to measure school safety, which includes issues of bullying and harassment, at the building level by surveying students. Federal funds are available for interventions in those schools identified as having the greatest need. The Department of Education has awarded grants to 11 States for activities under this program. If we fail to address bullying we put ourselves at a disadvantage for increasing academic achievement and making sure all of our students are college and career ready. The S.A.C.K. Color-A-Thon is coming up in less than two weeks! Have you registered yet? What is a Color-A-Thon? Color-A-Thon is a fun event for students and adults of all ages. 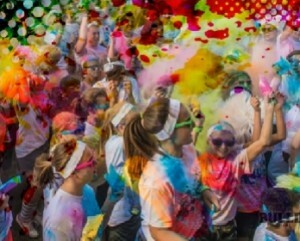 Students get donations from friends and families, earn rewards according to the amount of money they raise and then get to participate in a 3k race/walk that ends in a blast of color…the Color-A-Thon!